NEW: Application Deadline is extended to Friday, November 24, 2018. Please use the application form below, and send all materials and links to the performances to pianoecompetition@gmail.com. If you have any questions, please contact Managing Director Stella Sick at 612-460-5640 or pianoecompetition@gmail.com. The Alaska International Piano-e-Competition is held May 18-31, 2018 in Fairbanks, Alaska. NEW: The Alaska International Piano-e-Competition is open to pianists of all nationalities who are no older than 35 years of ages as of May 18, 2018. This means that contestants must be born after May 18, 1983. English is the official language of the competition. If you have questions regarding the rules, please refer to the English version. Please contact the competition with questions concerning the repertoire requirements and interpretation of the rules. Please read all rules and regulations carefully. It is your responsibility to make sure that your program complies with all repertoire and time requirements. All rules and regulations are subject to change at the discretion of the Artistic Director. Competitors must not have any other professional commitments during the e-Competition. No contestant may have any member of the jury or the Artistic Director as a principal teacher during the five year period preceding the Competition (May 18, 2013 through May 31, 2018). No relative of any juror or the Artistic Director may participate in the e-Competition. Once contestants are announced in October 2017, they are not allowed to take part in master classes or private lessons with the jury members or Artistic Director. Any violation of this rule will disqualify the pianist. Contestants may not contact or speak with any member of the Jury, including the Artistic Director, as long as they continue to participate in the e-Competition. Any violation will disqualify the pianist. It is the responsibility of the contestants to provide the e-Competition with a valid Social Security Number (SSN) or Individual Tax Identification Number (ITIN) to receive any prize money. Particiapns under the age of 18 must travel with accompanying adult or make arrangements with the e-Competition office. All solo repertoire and concertos must be performed from memory. All video, audio and MIDI recordings as well as photographs and interviews made during any of the events of the e-Competition will remain the sole property of the e-Competition and Musicians in Debut International. MARCH 5-7, 2018, Virtual Auditions in Fairbanks, AK. During Virtual Auditions all recording made at the Disklavier/Video Recording will be recreated in Davis Concert Hall, University of Alaska Fairbanks. Contestants do not need to travel to Alaska for this portion of the competition! The first prize winner receives $30,000 in cash, and commemorative diploma signed by the jurors and performance engagements. The second prize winner receives $20,000 in cash, and a commemorative diploma signed by the jurors. The third prize winner receives $10,000 in cash, and a commemorative diploma signed by the jurors. Contestants receiving prizes are required to be present at the awards ceremony. Application video recording consists of two parts: Solo Repertoire and Concerto. First Movement (Sonata Allegro) of a Sonata by Beethoven, Haydn, Mozart or Clementi. Any piece from the Recital Round. All solo repertoire should be no longer than 25 minutes. First or Last movement (including cadenza, where applicable) of the concerto you choose for the final round. This movement can be recorded with or without second piano accompaniment. If you have performed the Concerto previously with an orchestra, you can use the recording from that performance.The recordings should contain no editing. Upload your performances to Youtube. Chinese applicants may use Youku service. Please disable comments on the video. Your videos can be unlisted or public. If you have problems or questions, please contact Stella Sick. NOTE: You will not be able to change the Concerto after you are admitted to the competition. 3. The rest of the program must come from the Recital Round. Each contestant will choose his or her own program. TIME REQUIREMENTS WILL BE STRICTLY OBSERVED. If the contestant’s program falls below 65 minutes of music requirement, that contestant will be disqualified from the competition. If the contestant’s program is longer than 75 minutes of music, that contestant will be stopped EXACTLY at the end of 75 allowed minutes. All solo repertoire must be performed from memory. 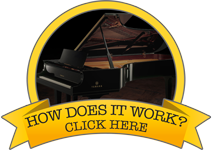 The classical sonata and etude from the either application or Disklavier/Video Recordings are allowed. The imagination and judgment used in the selection of the recital program will be considered in the Jury’s overall evaluation. Solo repertoire (contestant’s choice) must not exceed 30 min. Repertoire from previous rounds is NOT allowed. Concerto Finals (3 finalists) Contestants must choose any piano concerto from standard repertoire. Must be the same concerto as submitted on the Application Recording. More unusual works must be approved by the Artistic Director. NEW: Application Deadline is extended to Friday, November 24, 2018. Please use this application form, and send all materials and links to the performances to pianoecompetition@gmail.com. If you have any questions, please contact Managing Director Stella Sick at 612-460-5640 or pianoecompetition@gmail.com.